Elisha Cotton Winchell (1826-1913), son of Elias & Fanny (Ely) Winchell, was a young attorney who moved to California from Missouri to establish his law practice while thousands of others were attempting to make their fortunes in the gold fields during the “Gold Rush”. After completing his legal training in Palmyra, MO in 1848, Elisha opened a law office in Paris, MO but closed it in April 1850 for the move west. He arrived in September, two days before California joined the Union as the 31st state, and settled in Sacramento. He eventually became a well-respected attorney and judge and one of the leading businessmen of Fresno. The core of this collection is a set of 64 letters from Winchell to his parents and siblings in Missouri. The first was written to his mother as he was making preparations to leave Missouri and the final one was to his sister shortly before his death, over 60 years later. Over half of the letters were written during his first few years in Sacramento and describe the citizens, society and culture of the new city as well as the climate & scenery of the Sacramento Valley. Winchell’s letters were found in an old house in Palmyra, MO (possibly the home of his sister, Fanny Winchell Anderson) in the late 1940s and given to Palmyra native Dr Pauline Knobbs, a member of Northeast Missouri State Teachers College (now Truman State University) faculty. She loaned them to graduate student Robert M Pfaff along with transcripts of gold rush letters from Pickler Memorial Library’s “Biswell Family Papers”, as source material for the Master’s Thesis he was researching at the time. After a long and successful career as a history instructor specializing in the American west, Mr Pfaff returned the collection to the library in the fall of 2008. Additional materials in the collection include three engravings depicting the region clipped from an 1850s magazine as well as drafts of Mr Pfaff’s thesis. Winchell's photos of Tulare County and San Francisco, also a part of the collection, remained with the library and were not loaned to Mr Pfaff. 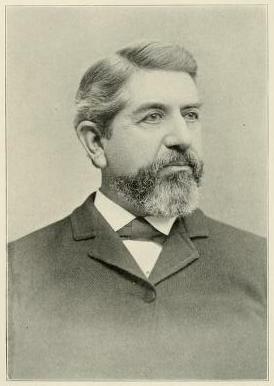 Photo of Winchell from Paul E. Vandor's History of Fresno County California. Los Angeles: Historic Record Company, 1919. Correspondents include parents Elias & Fanny (Ely) Winchell, sister Fanny (Winchell) Anderson, and brothers Homer Howard, Elias & Joseph Winchell. References are made to brother Rensselaer “Rens”, sister Sarah (Winchell) Dryden and other members of the family. Biswell Family Papers, 1795-1912. Special Collections, Pickler Memorial Library, Truman State University. (B1-Musdp) . Pfaff, Robert Marvin. Original Experiences of Missourians in the Gold Rush during the Years of 1849 and 1850. Master’s Thesis No 10. Kirksville: Northeast Missouri State Teachers College, 1950. Winchell, Alexander. Genealogy of the Family of Winchell in America. Ann Arbor: Dr Chase’s Steam Printing House, 1869. Winchell, Elisha C. Journal, 1848-1852. Elisha C Winchell Papers. Bancroft Library, University of California, Berkeley. (BANC MSS 74/175c).